Will your app go viral? This was the question haunting founder Aaron Patzer when he was launching the Mint.com app. He and his team hit the train station, asking unsuspecting commuters whether they would be interested in using their app. Patzer gauged not only the answers “yes” and “no,” but also the enthusiasm with which people answered in the affirmative. Serial entrepreneur and veteran app maker Shane Walker tweaked the Mint.com formula and came up with a way to not only gauge interest, but to gauge an app’s potential to go viral. Think about the last app you downloaded and ask yourself why you hit the download button. For many people, it’s because you saw a friend or family member using the app and just had to acquire it for yourself. This organic word-of-mouth experience is how many apps slingshot into the stratosphere. The idea of word-of-mouth being the single most important variable for mobile apps is not new. In fact, it’s the single largest referral source for mobile apps. In an Ofcom survey, 77 percent of users said they downloaded mobile applications they had heard about through family and friends. A further 38 percent said they downloaded apps they found at the top of the charts, essentially transferring the word-of-mouth phenomenon to the app store. Only 20 percent of users said they downloaded an app because they saw it advertised or heard about it in the media. Therefore, to make your app a viral sensation, you need to get people talking. The question is, how do you measure and improve against a largely untracked event such as talking about a product? Many developers think referral links in invites or messages do the trick, but this obfuscates a large portion of sharing activity: using a product organically and friends dying to know about the product. This word-of-mouth boost is huge in the mobile app market, yet it’s unbelievably hard to quantify. In June 2014, Walker’s team had developed some early prototypes for various mobile photo apps designed to make everyday photos more interesting. They had a variety of concepts: some that attempted tweaks on an ephemeral model, and others which were further down the crazy spectrum. In attempting to determine the best way to choose the most promising concept, they worked with former Zynga product manager and BlueLight founder Preet Anand to come up with a new test, one to gauge the relative “word-of-mouth” value of various mobile product concepts. 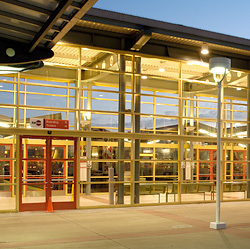 Similar to the Mint.com approach, Walker sent interns and employees to the 4th and King Caltrain stop in San Francisco to approach waiting commuters. They would describe a different mobile app, demo the app, ask the user to play with the app for a couple of minutes and then answer any questions. This might sound like a fairly straightforward approach, but Walker and his team came up with a twist: the app would remain nameless for the entirety of the demo and presentation. If the respondent, at any time during the interview, asked what the app name was or how to find the app, the interns would simply mark a “yes” in the word-of-mouth field. This simple, powerful test quickly ranked their various mobile app concepts in order of those most likely to spread via word-of-mouth. Of all the concepts tested with users, the craziest idea surprised everyone by winning the day and the word-of-mouth metric. More than 70 percent of respondents asked the name or how to find Doublie.com, a mobile app which helps users place celebrities, pop cultural icons, and stickers onto their photos. High-minded app concepts, such as data visualization, lost to the very simple, but extremely viral premise of adding popular culture to mobile photos. This isn’t something Walker’s team would have ever guessed on their own. By creating a simple test, the team discovered which concept was the most likely to go viral based on word-of-mouth recommendations. If users want to seek out the app after seeing it used, your application has word-of-mouth appeal. If they ask you during a test, the odds are high they’ll ask a friend they see using the app, meaning you’ve created a product with shareability. For app developers looking to “go viral” or spread quickly, this new twist on an old user-feedback technique is invaluable in unraveling the mobile growth formula for mobile applications.